DISCLAIMER – Usually, weâre a pretty mild-mannered bunch, but every so often, we get a question that weâve answered so many times that we just donât know what to say in response to it anymore. For my part, Iâm tempted to say âmagic fairy warriorsâ, âpixie dustâ or just âspit and happy thoughtsâ â but no, Iâm not going to do that. In any instance, this is the last time I will be answering this question. So, after this, you guys will have to look into the archives for answers (still, you might be able to find some good stuff back there). All joking aside, the science behind the walkie-talkie is fairly simple to grasp (which is good, because otherwise Iâd be out of a job!). Iâll render it here as a series of steps. STEP ONE â Having tuned the walkie-talkie to the appropriate frequency (and charged the battery), you push the PTT (Push To Talk) button and speak your message. STEP TWO â The vibrations of your voice shake a small membrane inside the walkie-talkieâs microphone. STEP THREE â The radioâs processor then converts those vibrations into an electrical signal, which it pushes upward towards your walkie-talkieâs antenna. STEP FOUR â The electron particles housed inside the antenna become excited (they will only respond to the set frequency) and this, in turn, âpushes outâ the message in the form of a radio signal. STEP FIVE â The radio signal is then intercepted by your partnerâs walkie-talkie antenna, where the incoming signal excites their electrons (which are attuned to the same frequency, of course). These electrons then in turn translate the signal into an electrical impulse, which is subsequently decoded by the processor and played out via your partnerâs speakers. It is exactly the same process as you just experienced except that it has been reversed. The fact that walkie-talkies do this practically in real time is actually nothing short of amazing, when you think about it. 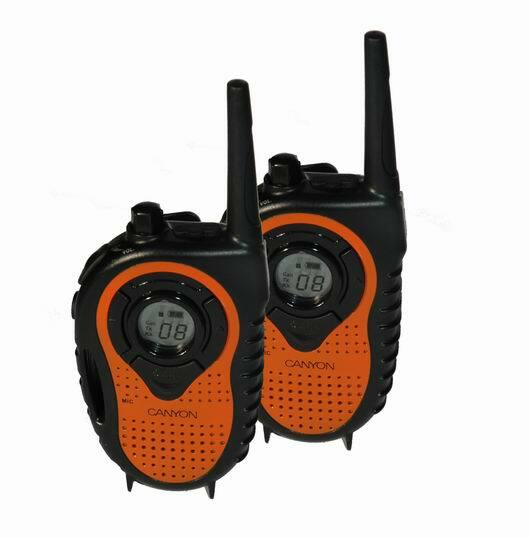 Part of the reason that walkie-talkie technology has been so very successful since its initial inception is that it works very well and is very easy to use. In fact, youâd be hard pushed to find a simpler, more useful and more user-friendly technology this side of the wheel! Thanks for your question (and Iâm sorry about the rant earlier, Claudia! ), hope my answer helps. If not, then Iâd go with the magic fairy warriors. Next The Shakespeare Code: Does a 400-Year-Old Portrait Offer a New Image of The Bard?